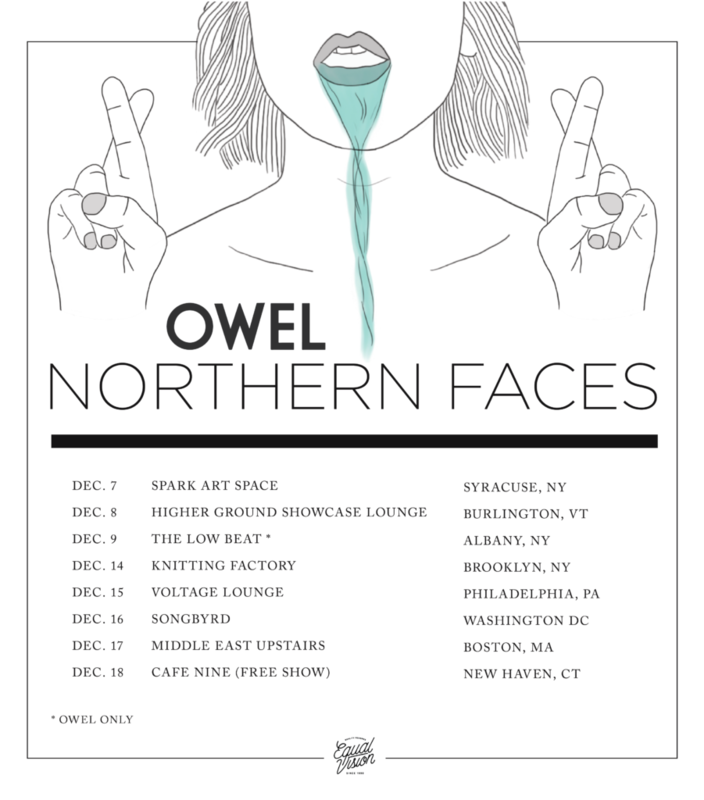 Two of Equal Vision Records brightest young bands, OWEL and Northern Faces, have announced they will be closing out 2017 with a series of co-headlining dates through the northeastern United States. Starting at the Spark Art Space in Syracuse, New York, the tour will work its way down the coast, including key stops such as Brooklyn, Philadelphia, Washington DC and Boston. Full tour dates are listed below and tickets for all dates are available here. Northern Faces are known for fusing impossibly catchy hooks and melodies, unparalleled harmonies, blues-influenced instrumentation and a modern pop sensibility into a sound that feels both familiar and inherently unique. With over 6 million spins on Spotify and a performance history that includes shows and tours with a wide array of acts including The 1975, Royal Teeth, Cage The Elephant, Say Anything, The Dear Hunter and X Ambassadors, Northern Faces are poised to take a well-deserved step forward into the mainstream. OWEL is comprised of Jay Sakong (lead vocals, guitar, keys), Nunzio Moudatsos (vocals, bass), Ryan Vargas (percussion) and Seamus O’Connor (vocals, guitar, keys). Their delicate, dreamy vocals, five-part harmonies, elegant string arrangements and touch of electronic elements form a stunning sound that is truly all their own. The dramatic crescendos and dynamic soundscapes weave behind ethereal vocals on their 2016 Equal Vision Records release Dear Me, leading listeners on a phenomenal sonic journey of reflection, curiosity and contemplation.